Should you consider a platform strategy? The emergence of platforms poses a number of important and difficult strategic questions for business leaders and managers. For example, platforms haven’t yet emerged in every industry. How can business leaders anticipate whether their industry could be subject to platform dynamics? Under which conditions would the emergence of platforms be a threat to existing firms? How can business leaders and managers anticipate and prepare themselves to take advantage of the opportunities created by platforms? How could you make it work? Formulating platform strategies requires firms to explore, concretely, whether and how they can transform their product, technology, or service, into a platform. Through in-depth consulting engagements in a variety of industries with firms such as Nokia (mobile telecom and Internet), SAP (software), Symbian (mobile telecom software), British Telecom, Gemalto (digital security), Ingenico (securitized payment), FinMeccanica (defence), Laing O’Rourke (construction) and others, Dr. Gawer has developed unique and practical insights on the formulation and implementation of platform leadership strategies. Impact of Platform Leadership ideas on mainstream management consultancies. Deloitte Consulting asked Annabelle for her views on the Open Mobile telecom/internet industry sector and published the interview in their report..
Click here to read Annabelle’s interview and access the full report on The Promise of Open Mobile. 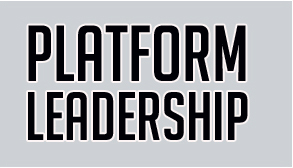 Make Platform Leadership work for you! Use the power of Platform Leadership ideas to unpack complex industry dynamics and find new strategic opportunities. Following requests (generally coming from CEOs, EVP Strategy, and members of top management teams), Annabelle Gawer engage in a small number of consulting projects every year, and treats them as highly-customized partnerships. Dr Gawer’s consulting projects with senior managers logically tend to build on her expertise on formulating, evaluating, and implementing platform strategies. These are two-way conversations where she can not only share and educate managers and business leaders with insights from her recent research, but also learns from the managers she consults with. Dr Gawer’s activities in consulting, executive teaching/coaching and research, continuously feed each other to facilitate the development of ideas, test their applicability and their limits, and push the frontier of knowledge in this area.